USA pitcher Josh Hader throws during the All Star Game futures baseball game at PetCo Park. While I didn’t actually sit down in person with this individual, I’m guessing we both were sitting down while the interview was conducted and the alliteration works so deal. Anyway, I had the opportunity to finally sit down with left-handed pitcher and top pitching prospect in the organization Josh Hader for a little while on Tuesday, August 30th. We discuss a handful of topics including the trade that brought him to the Brewers organization, the 2015 Arizona Fall League, 2016 Brewers On Deck, the Futures Game during All-Star Weekend back in July, how hard it really is to pitch to Colorado Springs, and just how much fun Tim Dillard is to have as a teammate. I didn’t pad the interview with any fluff in part because I didn’t want to wait to post it much longer and in part because I didn’t have time to record anything else of substance. As such, we get right into the interview and the clip ends right as Josh and I hang up. It’s here! With the draft come and gone I have once again put together a podcast for your listening pleasure. 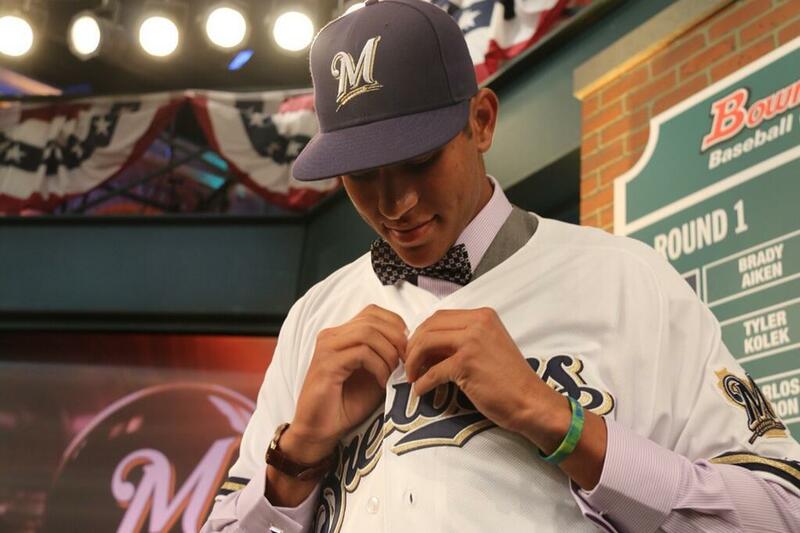 I talk to two of the Brewers draft picks this year, a tradition I started several years ago at this point, as I had the chance to interview top pick Corey Ray and 6th rounder Payton Henry. You’ll also hear some audio from the Director of Amateur Scouting for the Brewers, Ray Montgomery, as well as MLB veteran Curtis Granderson who has been a mentor for Corey over the last couple of years. I might post a follow-up interview that I wanted to conduct but haven’t yet had a chance to complete due to scheduling conflicts but I wanted to get this up for now without it just in case it never happens. But for now, listen to this and let me know what you think. 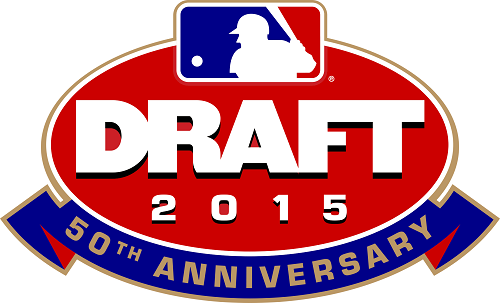 We talk all things 2015 Brewers Draft including a pair of draft pick interviews as well as touching base with the first Brewers draftee interview I ever did for the podcast. I also sit down with Nick Faleris of PerfectGame.com and BaseballProspectus.com for his tuned in take on the Brewers draft. The Day 1 audio I recorded at Miller Park is included as well so you’ll hear from the general manager Doug Melvin, and the director of amateur scouting Ray Montomgery and his staff on the first three picks. Here is a boatload of audio recorded on Sunday, January 25, 2015 at Brewers On Deck in Milwaukee, Wisconsin. 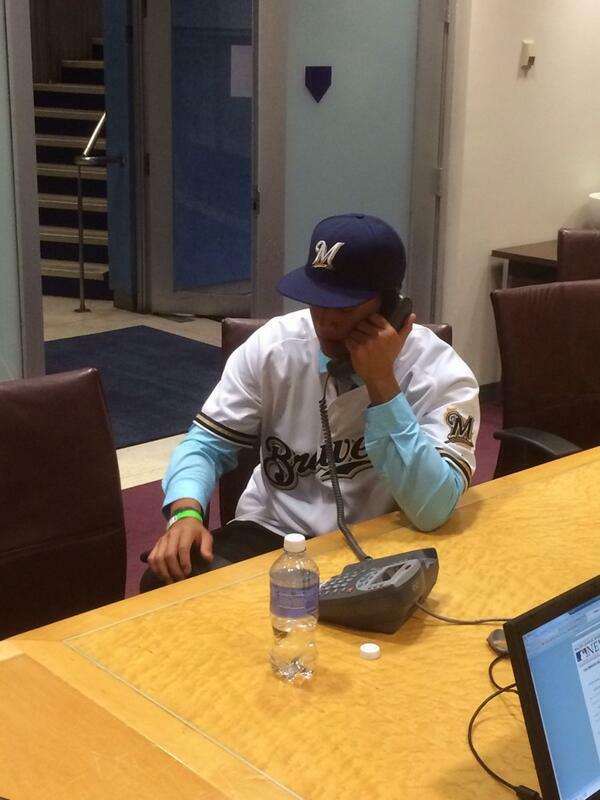 Here is the audio from Jake Gatewood’s media availability following his selection by the Brewers in the 2014 First-Year Player Draft. Here are the comments after Day 1 of the 2014 First-Year Player Draft from General Manager Doug Melvin and Director of Amateur Scouting Bruce Seid. Here’s the audio from a quick media availability with Kodi Medeiros. The interview is roughly nine minutes long.